The No. 1 Independent Rapper In The World Announces Tour With Machine Gun Kelly (MGK), Krizz Kaliko And Others Scheduled For 90 Shows In 99 Days, Making It The Longest Rap Tour Of All Time. Independent rap superstar Tech N9ne is scheduled to make history and shatter records in 2012. 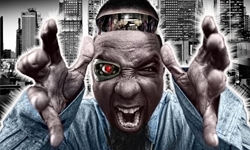 The Strange Music maven is slated to headline the “Hostile Takeover 2012” Tour, which will launch in March and includes 90 shows in 99 days, making it the longest tour in rap history. It will make stops in New York City, Los Angeles, Chicago, Houston, Atlanta, Dallas, San Francisco, Las Vegas, Baltimore, Denver and Seattle, among other cities. 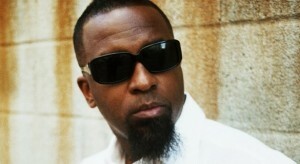 “I started planting the seeds for this music thing to expand more than 10 years ago and to see it be recognized globally like this is a beautiful thing,” says Tech N9ne, who will be joined on “Hostile Takeover 2012” Tour by Machine Gun Kelly (MGK), Krizz Kaliko, Mayday, Prozak and Stevie Stone. 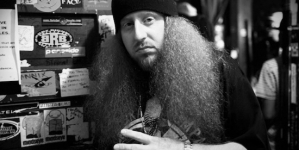 “We started Strange Music so we could make the music we wanted to make and tour like we wanted to tour. Now, to be able to make history like this is a wonderful accomplishment.” The Hostile Takeover 2012 Tour will be the only domestic tour of 2012 where fans can see Tech N9ne perform. During the last decade, Tech N9ne has built a rock-solid fanbase by touring relentlessly. By the mid-2000s, Tech N9ne was performing in excess of 200 shows a year. 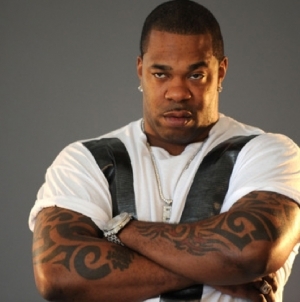 His professional performances and polished routines have earned the endorsement of such platinum superstar rappers as Busta Rhymes, Lil’ Wayne, E-40 and Twista, among many others. Tech N9ne is coming off of an incredible year. 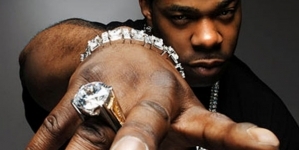 In 2011 the rapper released his album All 6’s & 7’s to much acclaim, debuting as Billboard’s No. 1 Indie, No. 1 Rap, No. 1 Hip-Hop and R&B and No. 4 on Billboard’s Top 200 album chart, overall. 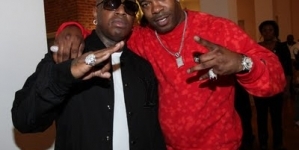 Tech was also featured on Lil’ Wayne’s The Carter IV last summer, which sold nearly 1 million units in its first week of release. I have been browsing on-line greater than 3 hours today, yet I never found any interesting article like yours. It’s pretty price sufficient for me. Personally, if all webmasters and bloggers made excellent content material as you did, the web can be much more helpful than ever before. I just want to say I am just all new to blogs and truly loved you’re web blog. Almost certainly I’m want to bookmark your site . You actually come with wonderful articles and reviews. Thanks for sharing your webpage. Perfectly pent articles, Really enjoyed looking at. Good website! I truly love how it is easy on my eyes and the data are well written. I am wondering how I might be notified whenever a new post has been made. I have subscribed to your RSS feed which must do the trick! Have a nice day! “If you are going to do something wrong at least enjoy it.” by Leo C. Rosten. Some truly nice and utilitarian information on this site, too I believe the design and style has got great features. As I website possessor I believe the subject material here is very good , thanks for your efforts. Thank you for the auspicious writeup. It in truth used to be a amusement account it. Look advanced to more delivered agreeable from you! By the way, how could we keep in touch? Hello, i feel that i saw you visited my web site so i came to “return the prefer”.I’m trying to in finding issues to improve my site!I assume its good enough to make use of a few of your ideas! !